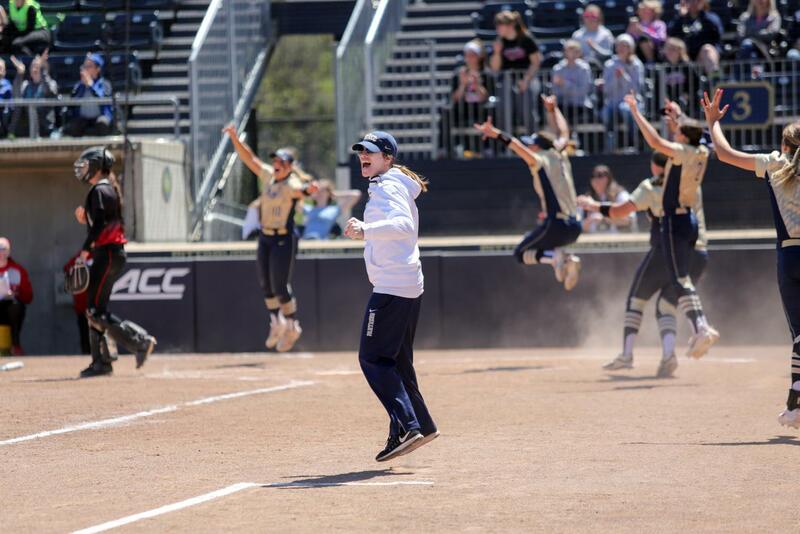 Olivia Gray will never forget the moment former infielder McKayla Taylor hit a walk-off grand slam to beat Virginia Tech and send Pitt softball to the ACC semifinals. It wasn’t just because the Panthers were going to the semifinals — it was because of the emotion the team and coaches showed. That game seemed like it would be the turning point for Pitt softball under head coach Holly Aprile. Instead, it was the last time the team would celebrate an underdog victory with Aprile at the helm. Two months after the win, Aprile announced her resignation at Pitt to accept the head coaching position at the University of Louisville — and according to former catcher Giorgiana Zeremenko, assistant coach Griffin Joiner will move to Louisville with Aprile. Upon contact, the University could not confirm this statement. Aprile was in her 15th season with the Panthers. Her first five years were spent as assistant coach, before she was hired as head coach, where she remained for the past 10 years. Aprile finished her career as head coach at Pitt with a 271-234 career record. Aprile led the Panthers to a 33-18-1 record in 2018, and a 16-6 record in ACC play. To top off a record-setting season, four players received NFCA All-Region Honors, four players were named to the All-ACC Team and Aprile was named the 2018 ACC Coach of the year. Amid the success, her departure came as a shock. Under Aprile the Panthers were the ACC Softball Champion Runner-up in 2015 and 2018, reached the NCAA Tournament in 2015, earned their first national rankings in program history in 2017 and won their first ACC Coastal Division title in 2018. Aprile also helped her players succeed individually. Since she took over as head coach, 10 players were named All-Region Selections, 12 earned All-ACC Selections and eight were named ACC All-Tournament Selections. Aprile instilled a winning culture in the Pitt softball program, and current players are confident that will continue even after she is gone.